Robert J. Getchell has been unanimously appointed to serve on the Oklahoma Abstractors Board. The Boards role is to regulate Oklahoma’s abstract industry. They issue Certificates of Authority, individual abstractor licenses as well as Permits to Develop Abstract Plants. In addition, the Board offers testing bi-monthly to individuals seeking their abstract licenses investigates complaints against abstractors. Robert has been practicing real estate law for almost three decades in Oklahoma and Arkansas. His broad-ranging experience includes residential, commercial and investment-related real estate transactions. 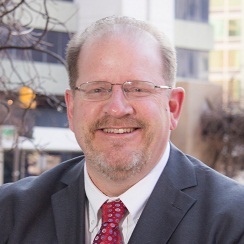 Having spent almost 20 years as staff attorney and general counsel for abstract and title companies, Bob has extensive experience in every area of transactional real estate including title examination, title insurance underwriting, sales and refinance transactions, contracts, conveyance instruments, encroachment agreements and easements.